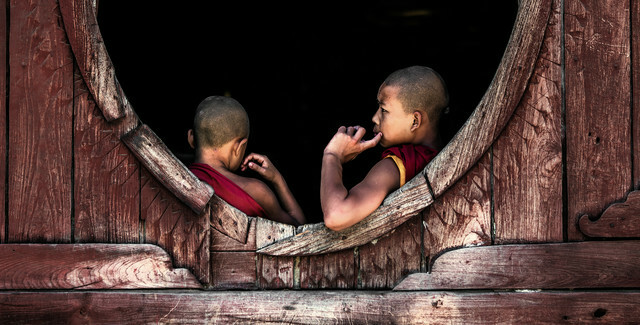 This snapshot was taken in a monastery near Nyaungshwe at the Inlay Lake / Shan State. Those two monks were reflecting on their homework, later on I watched them with some other monks during class. The monastery is called Shwe Yan Pyay and is about a 30 min walk away from Nyaungshwe.